To know your purpose is to know the self. It’s the primary relationship for all other relationships. Cultivating this awareness requires a tremendous amount of bravery, dedication, and effort. When we feel stuck in an area of our life, coaching can be a profound way to achieve clarity. My coaching practice is a creative, dynamic space to explore with curiousity. Together we'll discover the roots to wha holds you back so you can move on with confidence. My process is collaborative in nature and based in a holistic model to live your highest good. My clients are the best people I know. They are courageous, intuitive, and remarkably good souls with one thing in common. They each sought a holistic approach to making big changes in their life that wasn’t therapy or counseling. This work is a wake up call to step into your total being. I believe coaching is an empowerment, a divine partnership in your wholeness. In that light, all obstacles or fears ~ real or imagined ~ are a play of the mind. Once the illusion is clear, all becomes possible. Each coaching session is absolutely unique. There are themes in the work however, such as breaking down patterns, devising strategies to work through challenges, identifying a limiting belief, and restoring emotional intelligence. The way we do it is by looking closely at what’s stuck. Coaching with me is a collaboration to discover your truth. I bring years of spiritual practice, business leadership, somatic training, and personal insight to each session. Intuitively designed, this work is specifically geared to those ready to set life long goals, conquer fear, and embody wisdom. If you’re ready to surrender to your greater good, move beyond narratives that no longer serve, and manifest your gift, this work will lead you there. 1. What are you looking to achieve? 2. Do you see your main obstacles as physical, mental or emotional? Say more. 3. How have you tried to overcome these obstacles? 4. Is there anything else you'd like me to know? Send your response here. I’ll follow up with you soon for a free 30-minute interview. Denmo is the founder & CEO of Earthbody, an award winning day spa in San Francisco and Omcali Sacred Skincare a luxury line of organic botanicals handcrafted with potent herbs, spiritual aromatics, and healing foods. 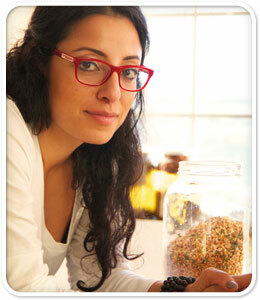 She is a certified meditation instructor, massage therapist trainer, herbalist and Ayurvedic educator. She integrates holistic wellness, business coaching and spiritual mentorship in all of her work to inspire an inner path of mindfulness, leadership, and personal transformation. Denmo discovered massage therapy as a profound way to heal injuries sustained from accidents and surgery. Her curiosity led her into exploring the root of illness and natural medicine. She studied with master healers such as Bonnie Bainbridge Cohen, Dr. Vasant Lad and Dr. Reginald Ray on the nature of bodymind and practices how to restore intrinsic health. Today, Denmo has designed several sold-out workshops, including Anatomy of Healing, Posture of Joy, and Embodied Leadership for Women. She holds an MFA from Naropa University and a BFA from Boston University. She is a graduate of the World School of Holistic Healing, Mount Madonna Institute's School of Ayurveda, and San Francisco School of Massage. Denmo has coached and consulted individuals, small businesses, and national brands in defining authentic core values, revealing secret strategies that impact our success, and how we can redefine business as a spiritual path. Sign up to receive a letter from Denmo each week on her weekly adventures in life plus tips on holistic remedies and exclusive offers for spa treatments. Interested in having Denmo speak at your next event or lead a workshop? Send us a note. TRANSFORMATION: A Field Guide I’ve been working on some ways in which I could offer you my support for all the amazing things you’re going to do this New Year. I created TRANSFORMATION: A Field Guide for the New Year. Download your free copy here. “I recently completed a three month holistic coaching package with Denmo. When I started, I had just had my 2nd child, really wanted to start my own business and was feeling overwhelmed by all the little stuff. I was inspired yet stuck and allowing long time held beliefs to get in the way of my dreams. My work with Denmo covered so many bases. She was a business coach, a spiritual guide and was able to really help me process my own story in a way that created space for new growth. We addressed fears, noticed judgments, set goals and just went for it. Knowing someone else was going to show up and ask questions kept me moving and I accomplished so much in such a short time. I can now appreciate the gifts of motherhood without demanding perfection. My business is moving along with realistic sized expectations. I feel capable of achieving my dreams. Denmo has been a beautiful light in my life. Our work offered space for transformation."